Last week, I attended my very first Superweek. I now know that this is the best analytics event I ever attended. It's impossible to capture the event in a single post, as it is a single track, 38-talk event, with food and drinks on the side. So instead, I'll focus the main message that I took home from the event. This is a line from Daniel Waisberg's presentation. It resonated with me. In a digital world, it's easier than ever to get the data you need when you need it. 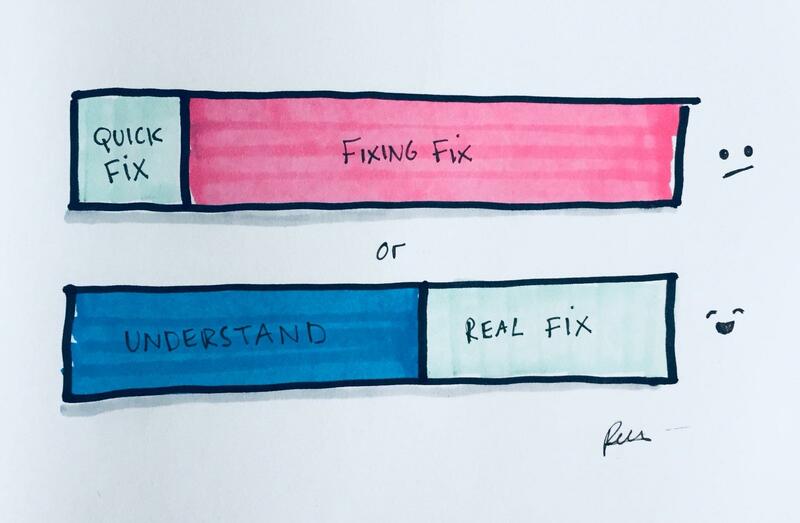 But we often forget to hang out with our data, to truly understand the data we're using, and what part of it we need to give exactly the right answer an question. Good things happen when we hang out with our data. For me, it was the connection between the talks. One of the first talks of the week will help me set up this connection. Stemming from wonder, curiosity and the desire to know and understand, philosophy is a form of structured inquiry. It's a decent description of the daily work of a digital analyst: we want to know and understand by structured inquiry. Moe argues that a more scientific approach would benefit our analysis. In science, theories are 'true' when they haven't been disproven yet. So whenever we get a data analysis question, we shouldn't just try to prove it, but to disprove it as well (the hypotheses and evidence matrix in her post is a great way to do so). It takes more time, more hanging out with your data, but it'll increase the value of our findings. Right now, our focus is often on knowing and understanding the answer of a question, but not on the question itself. You don't need attribution to tell you that your funnel is broken. If you run a test, you'll find that A wins because audience 1 is larger than audience 2. In reality, you're showing the wrong content to 30% of your visitors, averaging the revenue at €0.70. If you would use machine learning to show the right variance to the right user, your average revenue will go from €0,70 to €1. A 43% increase in revenue. This might be a good reason to invest in machine learning. If the difference in revenue between the right and wrong content would be smaller, let's say €0,01 instead of €1, the revenue increase by ML would only be 0,3% and probably not worth your money. Focus your quest for knowledge on why you would need attribution or ML instead of applying attribution and ML. We, as an industry, should clearly tell users what data we collect, and what for. Prolet Mitva added some great insights on GDPR in her talk. Using quotes from 'The Art of War', she shared her view on GDPR. why do we need to track it? how will we track it? how can we describe this in SLAP (Speak Like A Person)? Just hang out with your data collection more. And just so you know: I am also not a lawyer. On Monday evening, there was an interesting fireside chat by Julien Coquet: Analytics Nightmares from Hell. To sum it up: everything that has been going wrong in digital analytics is still going wrong. We haven't removed ourselves from capitalisation issues in UTM tagging or just plain tracking issues. It's hard to create a scenario where this issues won't come up, where every developer applies the same tracking standards, every agency uses the same UTM tagging format, and everyone (developer, agency and client) sees the value of proper data tracking, advocates for it, and protects it. The initial setup is the foundation of all the cool stuff we can do afterwards (as previously mentioned: ACH, ML, AI, complying with GDPR). So hanging out more with the initial setup would also be good. Adoption of something new comes down to the people wanting to adopt it. Show the right chart, for the right purpose, with the right design. Take it slow. Good stuff will happen.